As employees increasingly expect more flexible work arrangements, forward-thinking businesses must embrace mobile technology to maintain and drive employee engagement and satisfaction. With the number of smart mobile devices used at work and home expected to reach 905 million in 2017, the anytime, anywhere work trend is here and growing exponentially. As one of the only organisational departments that affects every person in a business, the human resource management function has a unique opportunity to be a leader in this initiative. All employees need to request leave or access payslips, and enabling these services on smart mobile devices can lead the organisation’s journey into a mobile-first world. According to a report by Forrester about mobile workforce adoption trends, 48 per cent of employees worldwide already use their personal smart mobile devices to access their work email at home, in the office and on the move. Many employees say satisfaction decreases when they are prohibited from using their devices at work, and a 2012 survey by Accenture found satisfaction would rise for 60 per cent of respondents if their business employed a Bring Your Own Device (BYOD) strategy. The research found that many employees are willing to pay for and use their own mobile devices for work purposes, which is a cost currently covered by businesses. By employing a BYOD strategy, employers can both improve workplace satisfaction and drive considerable IT cost savings for the business. For a BYOD strategy and flexible working arrangements to be successful, businesses must consider whether the technology they use is optimised for mobile devices. The mobile phone and tablet industry is fast-paced and offers considerable consumer choice in terms of devices, brands and Operating Systems (OS). Change occurs quickly, and market leadership is transient. In a very short period of time we have seen market leadership in the mobile phone market transfer from Blackberry to Nokia to Apple to Android. Many first generation mobile business applications were built for a specific device/OS and could not offer the same experience as on a PC. Users downloaded an app that provided access to the software from a smart mobile device, but with reduced functionality. This made it difficult to ensure employees had access to all the information they need from their personal devices. Software has since evolved, and the only future-proof solution is to employ browser-based software that is device-agnostic, built for touch and can operate with full functionality across any operating system. This enables organisations to take advantage of the efficiencies associated with BYOD, while improving the user experience for its employees. It will also provide employees with anywhere, anytime access to workplace information from any device; resulting in more reliable, accurate and instantly available information. With access to the full range of functionality from any mobile device, laptop or PC, information easily flows from laptop to mobile device as employees transition throughout the day. When HR practitioners employ self-service mobile technology, they can realise significant cost savings and strategic business benefits. By providing employees with self service functionality to enter their own leave requests, timesheets, incident reports or other administrative activities directly into the system, businesses can remove double handling and manual data entry, to save time and improve accuracy. With access to timesheet approvals and workflows through a manager self service portal, executives can also shift their focus to strategic initiatives that will deliver measurable business benefits. The consumerisation of IT is driving the expectation of the same power and simplicity employees experience in their personal lives to be available in the workplace. HR practitioners must lead the business shift to a mobile-first world, to enable flexible work arrangements that will deliver a competitive advantage and drive employee satisfaction. 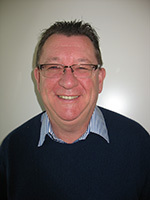 Paul MacRae is the General Manager for Human Resource & Payroll (HRP) at TechnologyOne. With more than 25 years’ experience in the design and support of applications, Paul has a broad skill set across all sectors of the service IT industry. Paul currently leads an innovative team committed to ensuring effective Human Capital Management across the company’s client base.